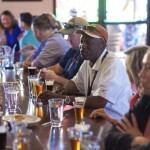 Tours can be booked online at AZBrew.com or by calling 480.382.4677. 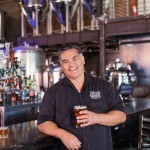 Alvarado’s desire to keep local breweries in business was a driving force behind the creation of Arizona Brewery Tours. Tours allow craft beer lovers to interface with local brewers and owners by understanding the complexities of the beer making process. They also allow a novice to learn about craft beer. 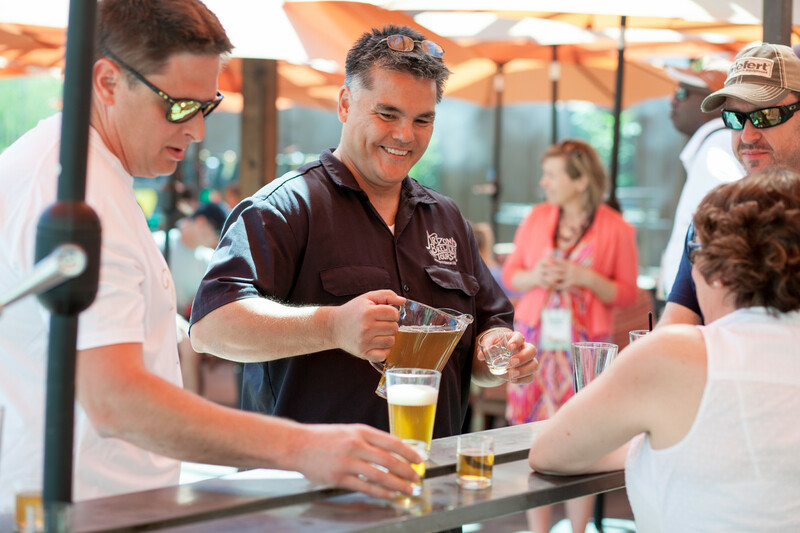 Public tours are geared towards experienced and novice craft beer drinkers. Public tours are $99 per person, and are held Wednesdays through Saturdays, typically from 11 a.m. to 4 p.m. 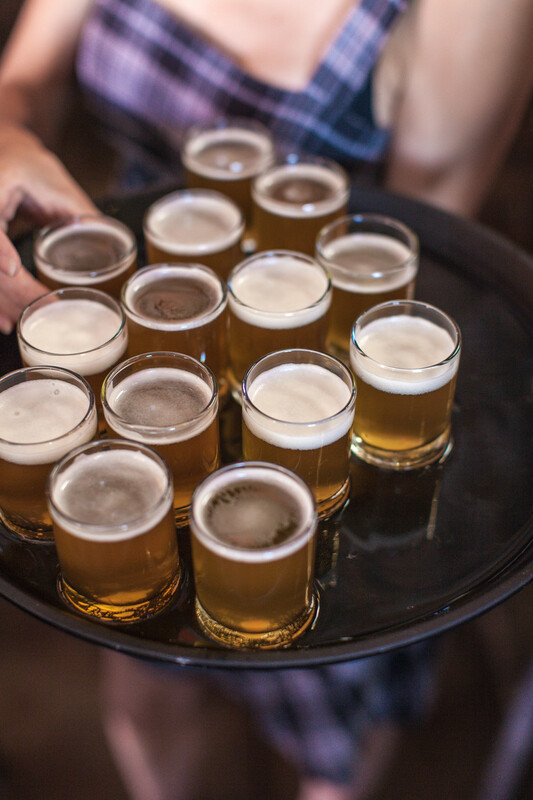 Included are stops to three local Arizona breweries, 15 to 18 craft beer samplings, special brewery tours, a meal, and souvenir. 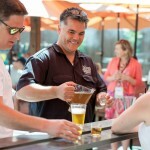 Tours start with craft beer education including the beer making process, types of beer and history on Arizona breweries. Guest beer guides also make appearances. Breweries are prepared in advance. 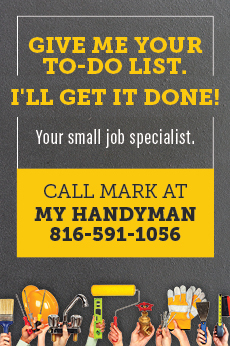 Tables are reserved and beer and food is served within minutes of arrival. Everything is easy for the customer. Shuttle service to local beer festivals is also available and guests are usually picked up at The Hungry Monk in Chandler. Private tours can accommodate up to 50 people and vary in price depending on the number of guests and the experience chosen. 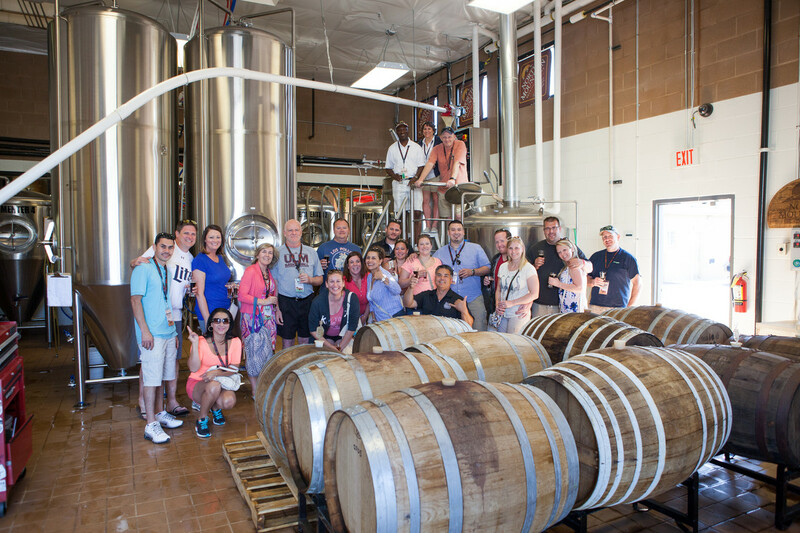 While Arizona Brewery Tours visits and samples craft beer at breweries in the local Phoenix-metro area, private tour excursions can travel to breweries located in the state such as northern Arizona. “We had an amazing tour to Flagstaff with AZ Girls’ Pint Out, a local group of women who enjoy drinking and learning about craft beer,” Alvarado says. 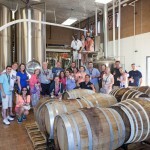 “And recently took the same beer club on a tour of the new breweries in the West Valley, such as Freak’N Brew, Dubina, Saddle Mountain and Peoria Artisan. Preparations are underway for the third year tour with the Arizona Society of Homebrewers. 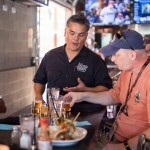 Alvarado uses his love of craft beer to expose brewery tour guests to new and unique flavors to broaden their experience. North Mountain Brewing brewed ancient Egyptian-inspired ale using dates, cinnamon, sesame and hints of coriander for a special event at the Science Center. The Perch in Chandler is always brewing up popular unique flavors like Perch Belgian Peach. 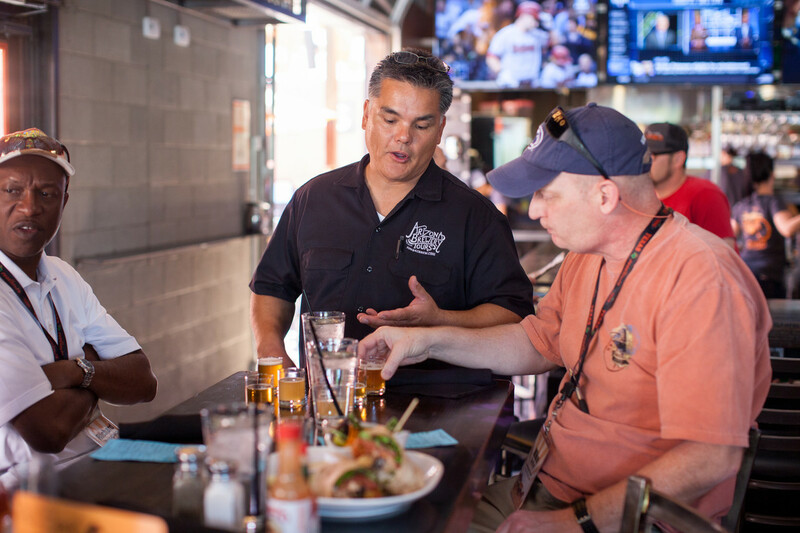 Tours not only include locals, but vacationers and those looking to experience the craft beer scene in Arizona. East Valley’s own Arizona Wilderness brewing crew made international headlines for Arizona as the number one new brewery in the world. 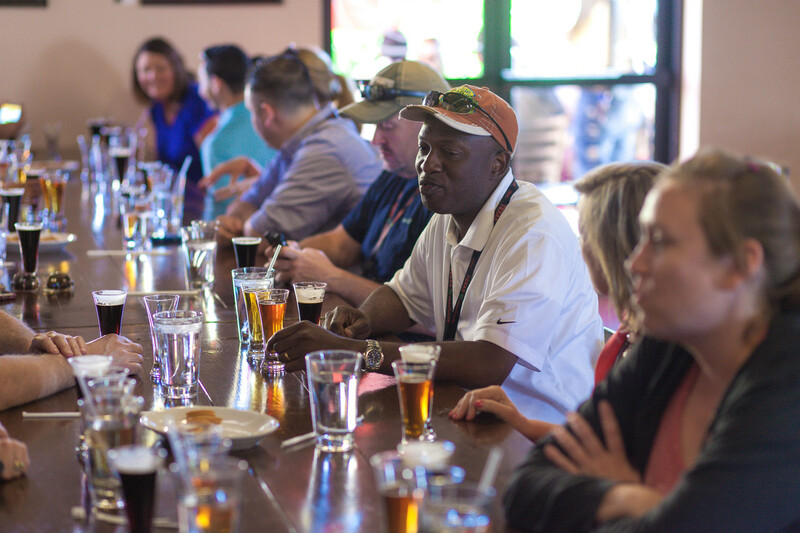 International visitors from England, China, Germany and Canada have experienced a ride with the Arizona Brewery tour crew. 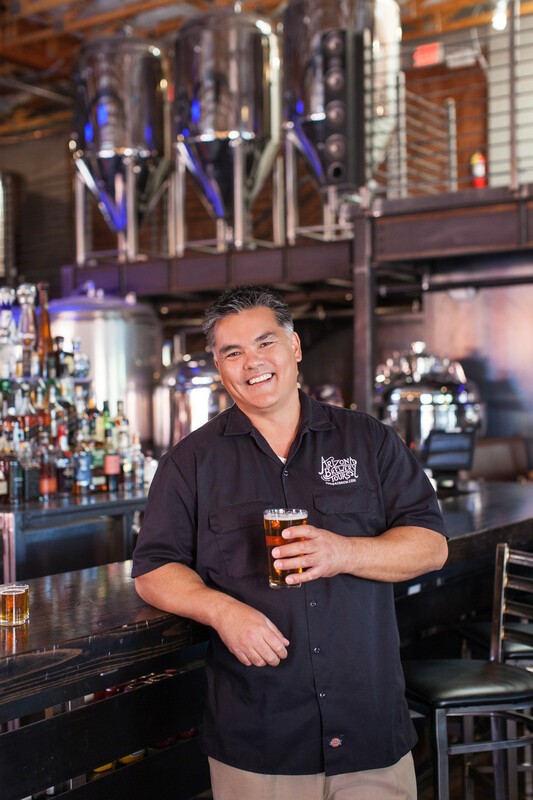 Alvarado joined the Arizona Craft Brewers Guild to promote the craft beer business. 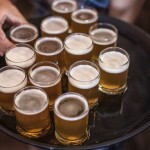 The Guild recently led efforts to pass a bill in the Arizona legislature to allow the increase of barrel production and distribution for local breweries. This is a real win for business and for the Arizona economy.